As you travel from Castle to Castle on the Royal Blog Tour, your Coach will follow the six Royal Paths. 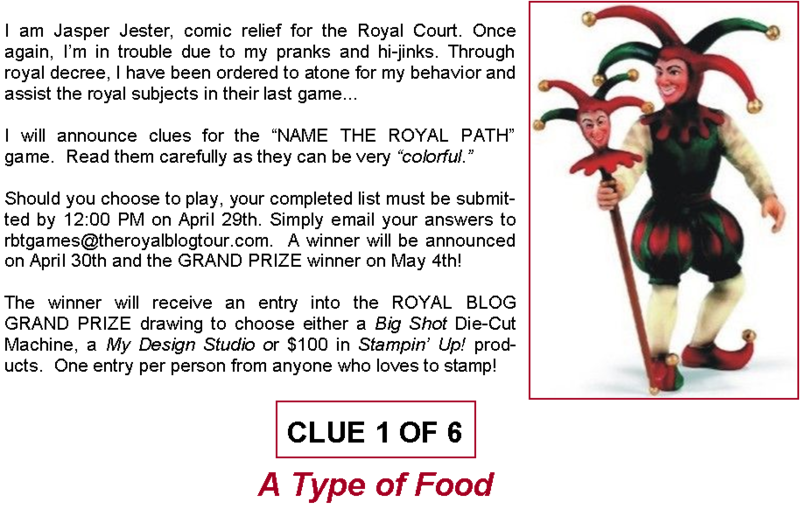 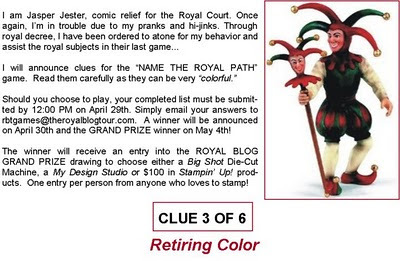 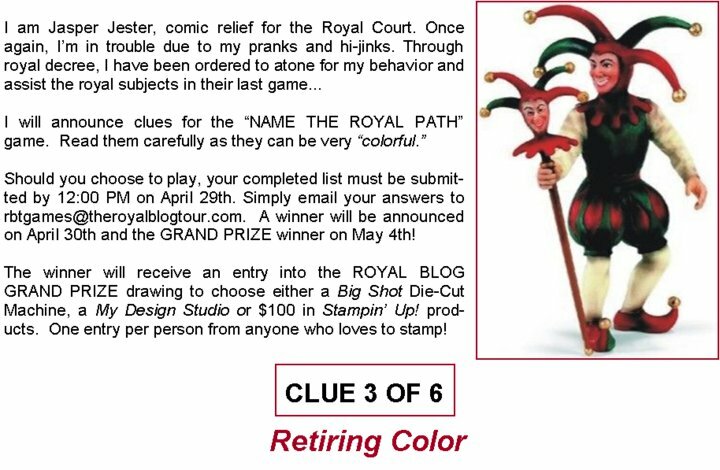 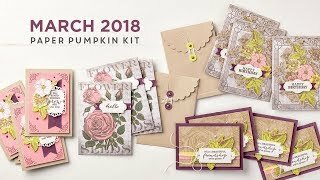 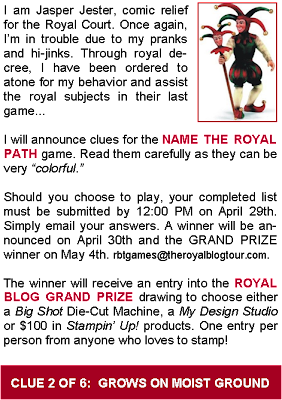 The Jester is here with clues to the Paths Names, and if you can figure them out you may win an extra entry in the drawing for the Royal Blog Grand Prize!!! 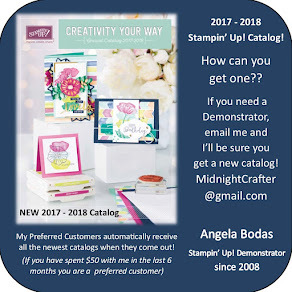 But Hurry! 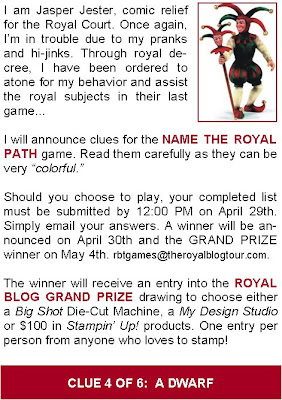 You can only send in your entries for this Pre-tour game until noon on the 29th! 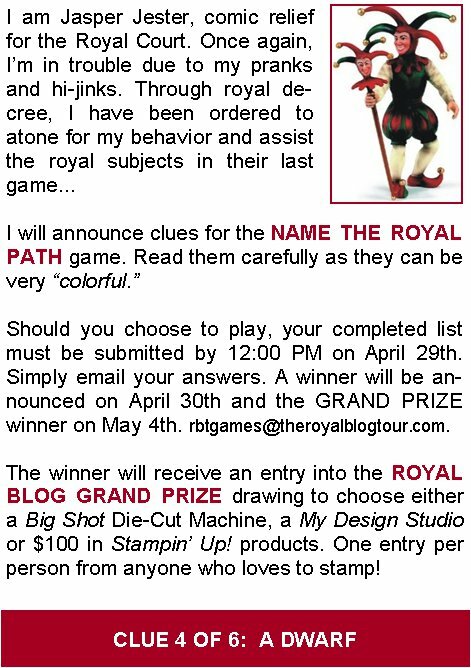 Email your answers (6 Path Names) to rbtgames@theroyalblogtour.com before noon on Thursday to get your chance at the Grand Prize! Here are all your Clues!